This fine specimen of a Messerschmitt Bf 109G-2 was seen with No 252 Wing at Gerbini 3 airfield, Sicily, on September 5, 1943. Ex 2nd Staffel, JG 27, it may be RN228, which arrived from Sicily on December 26, 1943, and is now being restored at RAF Northolt. Another Uhu, this time the Focke-Wulf Fw 189A-3, Werke Nr 1073, alias AIR MIN 27. Designed in 1936 as a two-seat light bomber and ground attack aircraft, the type was widely used on the Russian front, 846 production machines being built. The serial AIR MIN 77 was allocated to the simulated Mistel (Mistletoe) composite aircraft, comprising Junkers Ju 88A-6 Werke Nr 2492 and Focke-Wulf Fw 190A-8 Werke Nr 733682 (AIR MIN 75), now in the Imperial War Museum. In the genuine article the lower component was fitted with a war-head, flown to the target by the pilot of the fighter, and released to glide down. Dornier Do 217M-1, Werke Nr 56158, was an ex-KG2 machine, and was allocated serial 107 in the AIR MIN numbering. It was scrapped at 71 MU, Bicester, in 1956. AIR MIN 120 was an example of the two-seat Arado Ar 96B, adopted in 1940 as the standard training aircraft for the Luftwaffe. A 465 h.p. Argus As 410A engine was fitted. Heinkel He 219A-7 Uhu (Owl), Werke Nr 310189, was the prototype for the A-7 variant of this multi-purpose high performance fighter. It became AIR MIN 22. AIR MIN 11 was a Focke-Wulf Ta 152H-1 high altitude fighter, Werke Nr 150168. It is seen here at the exhibition of German aircraft held at RAE Farnborough in November 1945. Junkers Ju 188A-1, Werke Nr 230776, became AIR MIN 108. 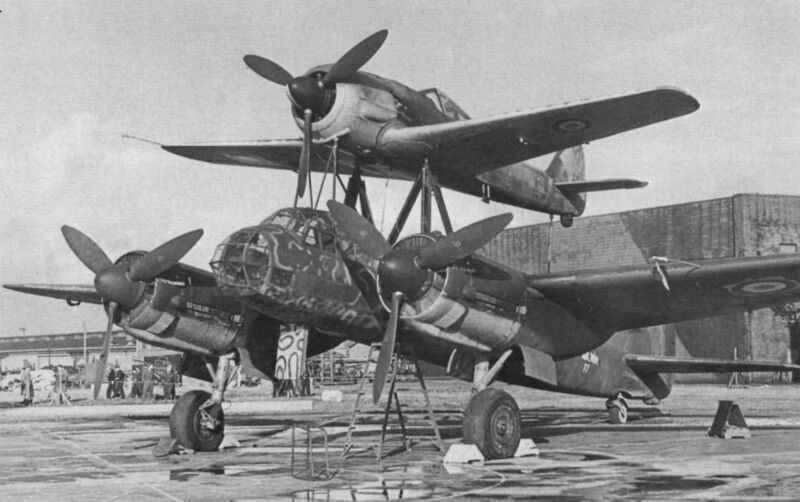 Intended to succeed the Ju 88 in some of its numerous roles, the 188 had a much revised and extensively glazed nose section and increased-span wings with pointed tips. The A-1 variant had a pair of 1,776 h.p. Junkers Jumo 213A engines. Focke-Wulf Fw 200C-4/U1 GC+AE/AIR MIN 94 was Gestapo Chief Heinrich Himmler’s personal transport, and bore his emblem on its nose. 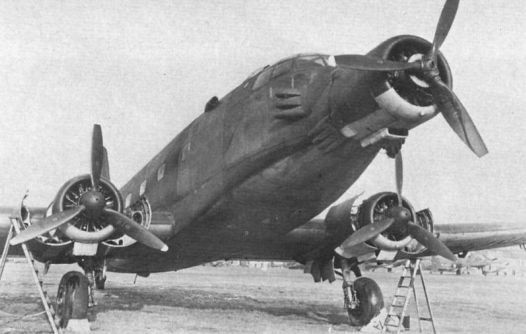 Adapted from the standard long range Atlantic raider/reconnaissance bomber, this unique machine had accommodation for 11 passengers. Himmler’s position was provided with a folding table and personal airspeed indicator and altimeter. Four 940 h.p. BMW 323 R-2 radial engines provided the power. Parts of Junkers Ju 388K-0 bomber AIR MIN 83, coded PE+1F still survive at Cranfield. The 388 was developed from the 188, only small numbers of the -K variant being delivered before the war’s end.